•Bundle can rotate to any orientation, allowing routing in any direction regardless of mounting point. •2-piece design allows installer to slide clip around cable tie to obtain optimum orientation •Clip is reusable, making relocation or adjustments simple. 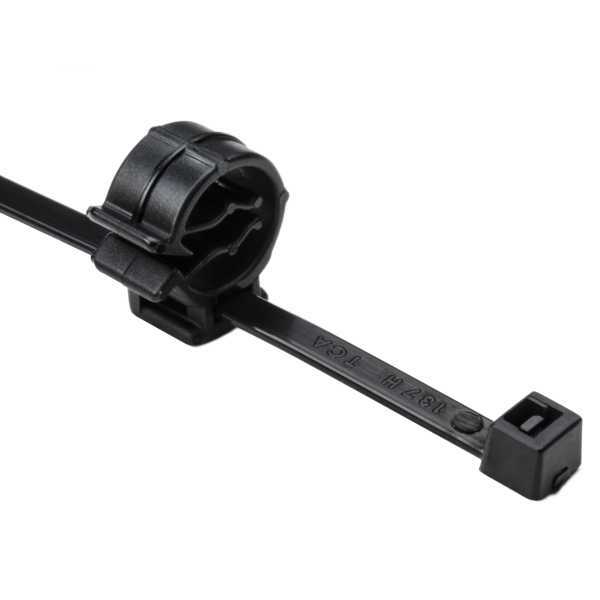 HellermannTyton’s 2-Piece Cable Tie with Pipe Clip secures cables to tubular frame rails. The cable tie bundles wires, cables or tubes, and the C-clip snaps onto the tubular frame rail. The clip can be removed from the mounting surface and reinstalled without additional fasteners.